"HIGH POINT, N.C., Apr. 20, 2015 — On May 1 - 2, participating furniture, arts and accessories showrooms will be open to the public for an after-market sample sale. Visitors can park for free in the parking deck on High Avenue in High Point and catch a trolley at the Train Depot across the street to check out some popular local showrooms. On Saturday, May 2, the trolleys will run from 10 a.m. to 5 p.m. and an additional trolley stop will be added to the Carolina Brewsfest at the Mendenhall Transportation Terminal. Attendees can enjoy food trucks, a variety of beer and wine offerings and live entertainment throughout the afternoon. People who arrive at the Carolina Brewsfast by trolley will receive a discount off of the $8 entrance fee. Parents are invited to bring children along to enjoy a free trolley ride. 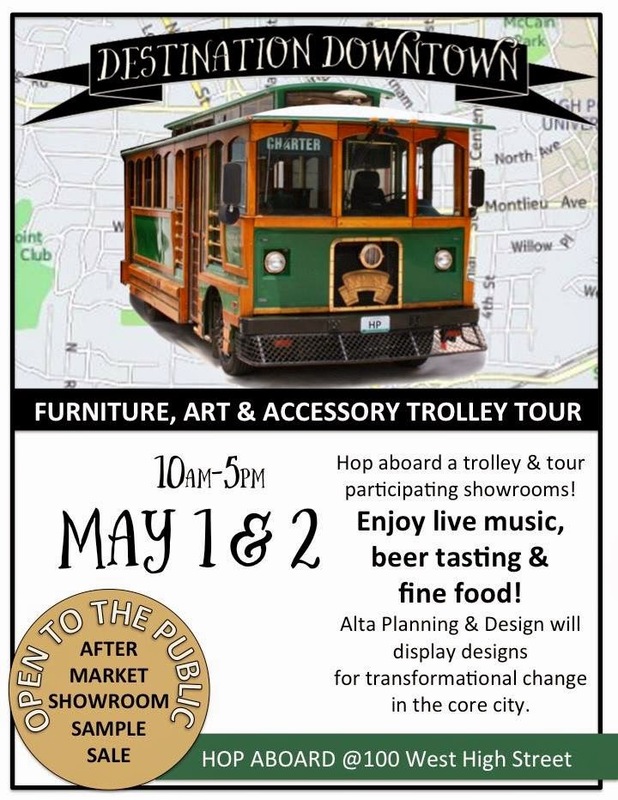 The trolley tour will stop at each location continuously throughout the day making it easy for participants to hop on and off at any given location."